Something I love is a pretty summer dress that flows out when you twirl. 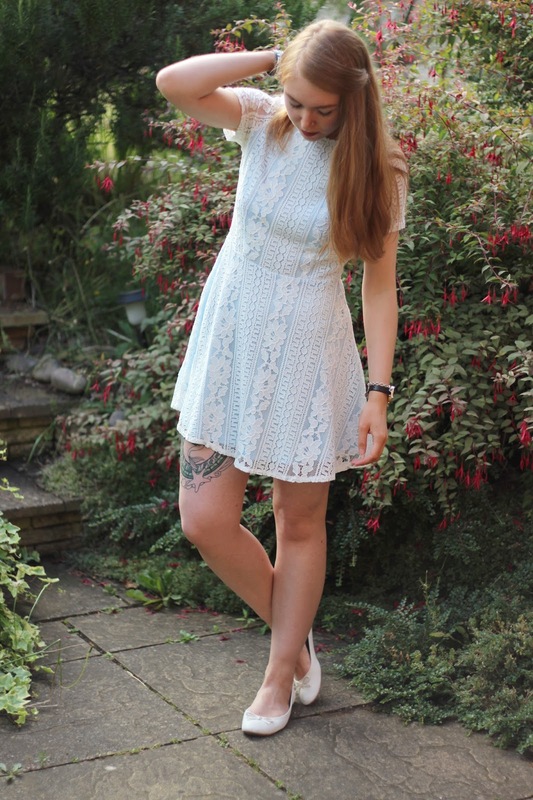 When I saw this dress, I knew it would be the perfect summer dress, whether it be for a meal out or a party. You can tell it is great quality by the weight of it, yet it is still cool and airy. 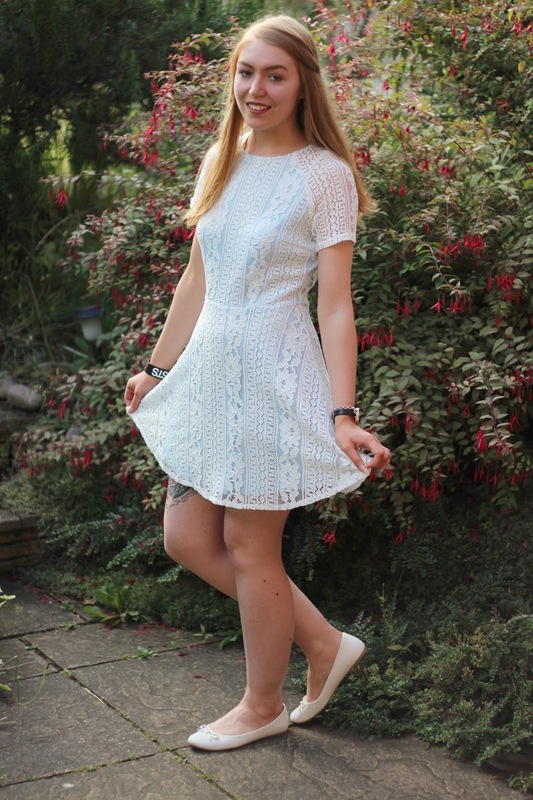 The sky blue fabric underneath is a wonderful colour to wear when the sun is shining. It’s a lovely dress that you can wear out in the day with flats or wear to a party in the evening with a pair of white block heels. The lace detailing adds an extra bit of ‘oomph’ to the dress and makes it more girly. It’s always good to have a dress that makes you feel good when you’re wearing it! It is currently on sale so if you like it I’d grab it while you can!